I work with a lot of teen Depression. It’s not unusual for a client’s parent to be upset when their teenager is diagnosed with mental health issues. It’s common for them to say “But my kid is a good kid”. The problem is, depression and anxiety (and other mental health issues) do not discriminate. Your teen could be the best kid, and they could still struggle. Today my hope is to obliterate the stigma that good kids don’t struggle with mental health issues. Because they definitely do. I want to talk about the pressures put on kids today, and how that also impacts their emotional well-being. And maybe how we can work together to help prevent mental health issues and teen suicide. A Time magazine article from 2017 stated that around 70% of mental health issues (anxiety, depression, eating disorders, etc.) appear during the teenage years. Teens often really struggle emotionally and mentally during the ages of 13-18. Let’s talk about why this is. A teenager’s prefrontal cortex continues to develop until around the age of 25. The prefrontal cortex is the part of the brain that is responsible for logical and rational thoughts. Since your teen’s brain isn’t fully developed, they are more likely to make mistakes, lack some common sense about things, and be reckless. If you have a teen, I’m sure you’ve had to deal with things like them getting into a preventable accident, putting themselves in a situation that threatens their safety, or leaving the front door unlocked for the twenty millionth time. This lack of brain development also explains why teens are so emotional. They are often impulsive and take unnecessary risks because their brain isn’t saying “This isn’t smart/safe/okay”. Teens who struggle with depression, especially, may make very impulsive decisions that can harm themselves because their brains get so overwhelmed and cannot process the big emotions they feel. They cannot think of the long-term impact their decisions are going to have, or how their decisions impact others. A lot of pressure is put on kids to achieve nowadays. Sometimes this can lead to a lot of perfectionism and overachieving in teens. Perfectionism is not just being organized and having all of your ducks in a row. It can also look like teens who get upset when plans change, or a curveball is thrown their way. It can be teens who procrastinate on schoolwork because they want to do it perfectly and are afraid they may fail. Teens who battle perfectionism want to keep all the balls in the air and refuse to admit that they are struggling. Usually at some point they will meltdown, and lose control. Sometimes this can be a panic attack, going on a tirade for 20 minutes, lashing out at others by yelling and screaming, or crying uncontrollably. Kids who are overachievers try to do it all. Sometimes they try to prove their worth by what they do. They may not feel good enough, and may have a lot of shame and insecurity. 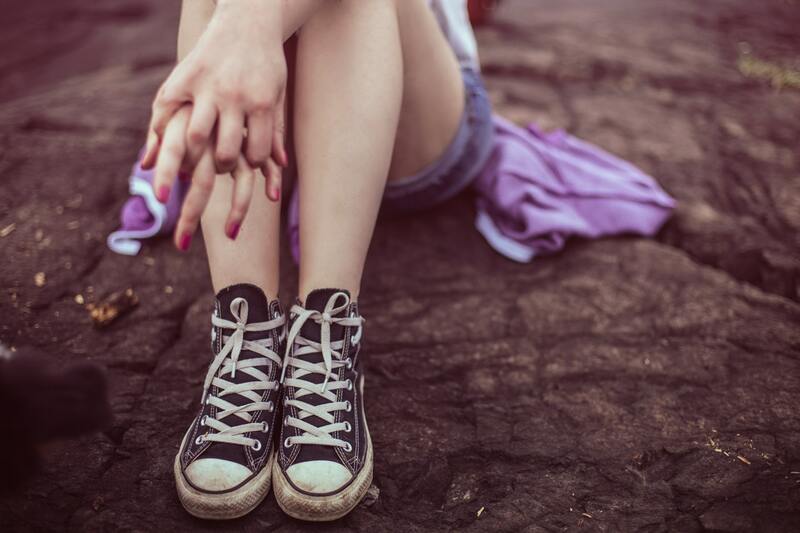 This shame and feelings of inadequacy actually feed into teen depression and anxiety. I see a lot of teens who are overscheduled. What do I mean by this? Well, they are straight-A honor roll kids, simultaneously taking college courses while in high school, playing 3 sports or other extra-curricular activities, and volunteering weekly because that’s what colleges expect now. They are involved in a bunch of clubs at school that demand more of their time. They take voice or piano or dance lessons as well. Every waking hour outside of school is devoted to something. Every coach and instructor demands more from them, because their “thing” should be most important. And their parents feed right into this because scholarships and college are so important. So why would these kids possibly struggle with teen depression? The problem with overscheduled teens is that they don’t have time to address their mental health. I talk with these kids about carving out time for self-care, and they look at me like I have four eyes. Self-care? They just want to get into bed before midnight on a school night. Oftentimes overscheduled teens start in therapy because they are really struggling, but they don’t always stick with it. Other things become more important, and they have to quit something. I will often recommend that teens simplify their lives by eliminating some of the non-necessary things on their plates. Can you give up karate if you hate going? Does Spanish club bring you joy? Do you really need to take 8 AP classes, or will 4 do? What usually happens is I get a ton of pushback, and then instead of eliminating clubs or activities, they eliminate therapy. And mom and dad are ok with that because therapy won’t get them scholarships. Speaking of mom and dads…..I know that you love your children, and want the best for them. But sometimes you need to get your priorities straight as well. If your child comes to you, and says something is wrong, please DO SOMETHING. Ignoring it will not make the problem go away. If they are battling teen depression, anxiety, or even something they cannot put a name to, reach out for help. Your teen is strong enough to be vulnerable with you about needing help, so you need to be strong for them. If your teen shares with you that they are having thoughts of self-harm or suicide, please don’t dig your head in the sand. Imagine how it looks to your child when going to football practice is more of a priority than going to therapy or getting them help. Or if they tell you they are having suicidal thoughts and you invalidate them or brush them off with “It will get better”. I understand that therapy is sometimes an inconvenience for you, especially if you have to drive your child back and forth. But if your teen is not doing well mentally, nothing else matters. Absolutely nothing. This is not a failure on your part. You didn’t do anything that caused your child to struggle with teen depression. Sometimes it’s just genetics, biology, and brain chemistry. Your kid is still a good kid. So don’t blame yourself. But DO SOMETHING! ← What Masks Do You Wear and Why?